Rabbit anti P. testosteroni 3-beta-HSD. Product is tested for Dot blot, Enzyme Immunoassay, Immunodiffusion, Immunocytochemistry/Immunofluorescence, Immunoprecipitation, Radioimmunoassay, Western blot / Immunoblot. beta-Hydroxysteroid Dehydrogenase isolated and purified from Pseudomonas testosteroni cells. 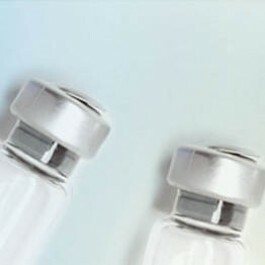 Freund’s complete adjuvant is used in the first step of the immunization procedure. This product is intended for use in precipitating and non-precipitating antibody-binding assays (such as e.g., ELISA and Western blotting and Immunofluorescence or Histochemical techniques), to prepare an insoluble immuno-affinity adsorbent, for labelling with a marker of choice. Non-precipitating antibody-binding techniques: at least 1/400. If a slight precipitation occurs upon storage, this should be removed by centrifugation. beta-Hydroxysteroid Dehydrogenase from Pseudomonas testosteroni cells. The reagents were evaluated for potency, purity and specificity using most or all of the following techniques: Immunoelectrophoresis, Cross-Immunoelectrophoresis, Single Radial Immunodiffusion (Ouchterlony), block titration, ELISA, Immunoblotting and enzyme inhibition. Cross-reactivities against enzymes of other sources may occur but have not been determined.